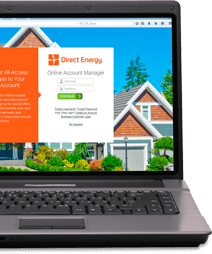 Home > FAQs > Pa > Plans, Products, and Services > Direct Energy Products and Services > What is the difference between Time-Of-Use pricing and the Direct Energy Free Power Saturday Plan? What is the difference between Time-Of-Use pricing and the Direct Energy Free Power Saturday Plan? Traditionally, you are charged a "flat" rate for your electricity usage during a 24-hour period. Residential electricity consumption is the lowest in the late evenings, this time period is known as off peak hours. During the day and early evening residential electricity consumption increases, when people are doing household activities (Cleaning, Washing, Dishes, Vacuuming, Home Projects), this is known as on peak hours. Ultimately, it costs more to produce electricity during on peak hours than it does to produce during off peak hours. With time-of-use pricing, you pay a low rate for off peak hours and a higher rate for on peak hours. Instead of charging you a low rate for off-peak hours, we'll give you free electricity on Saturday for the 12-month term of your agreement. From the hours of 12 a.m. to 11:59 p.m. on Saturdays, you will not be charged for your electric supply consumption. Note that you will still be responsible for the utility's distribution charges and distribution taxes, if applicable for electricity used during this free period.